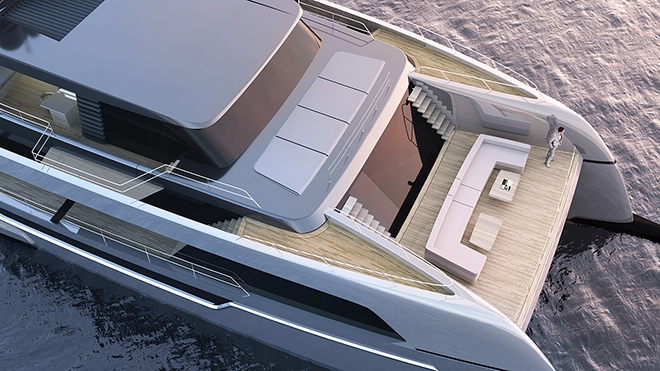 With daring, aerodynamic design stretching living spaces to the extreme and opening new possibilities for ultimate luxury cruising, the 120 Sunreef Power is the latest superyacht concept unveiled from Sunreef Yachts. 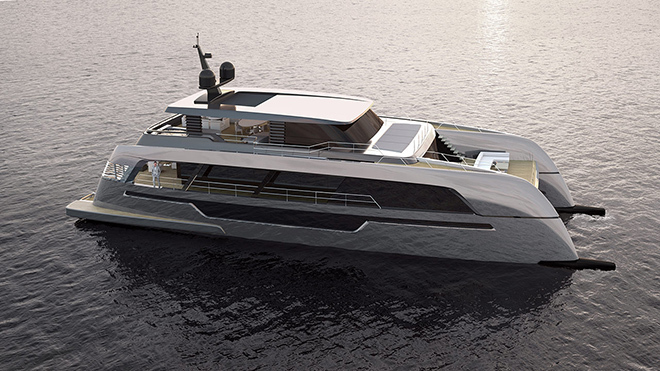 With her reversed bow, increased hull width and generous glazing is Sunreef’s latest 36.6-metre custom superyacht concept designed for bold contemporary yacht owners valuing strength and originality. 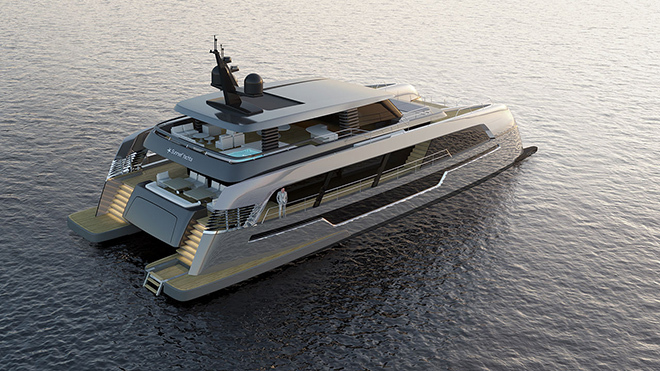 According to the Poland-based Sunreef, rising interest for yachts exceeding 24 metres and multihull concepts in the superyacht segment, prompted the development of the 120 Sunreef Power Yacht concept. 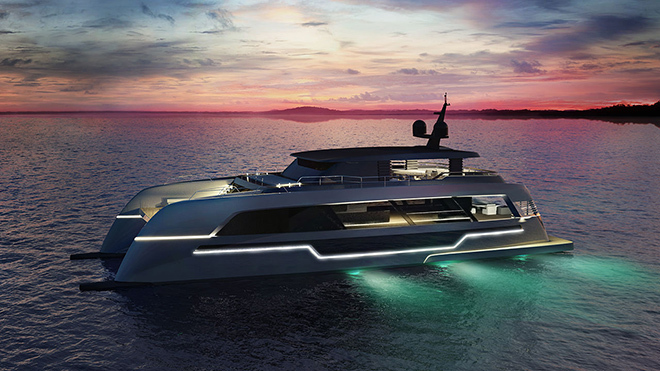 Sunreef shipyard’s in-house design team conceptualised a monumental, yet dynamic catamaran model inspired by supercars thus the lines of the 120 Sunreef Power are elegant while sporty and accented chrome elements and futuristic LED light schemes.